My journey into the world of the written word began around the age of two, when I began using Hooked on Phonics to learn how to read. By second grade, I had read almost everything in my elementary school library. Since then, I have gotten more selective about what I put into my head. Below, you will find a sizable list of books, articles, and other written things that I got value from. I believe you’ll get some value out of them as well! **Links may be affiliate links. If you purchase using these links, I’ll receive a small percentage of the sale at no additional cost to you. All books are ones I have personally read and recommend. 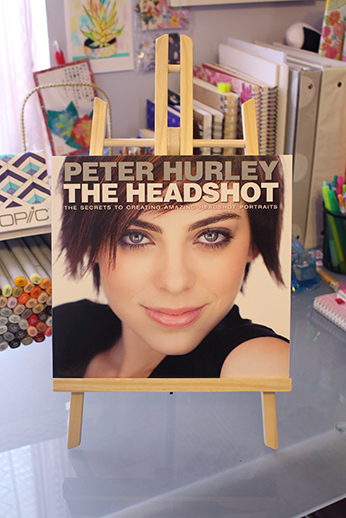 I came across this book while browsing in Barnes & Noble one day, and it struck me as useful not only for portrait photographers, but also for artists. The wide range of expressions Hurley is able to pull out of his subjects is impressive, and great for reference! I recommend this book for its engaging words and plethora of references! While I’ve found Mark Crilley’s “how to draw” books to lack the same level of quality present in his videos, I chose to purchase this one for its originality. He sets objects to one side, and draws them, trying to achieve a hyper-realism that creates the illusion of a photograph. 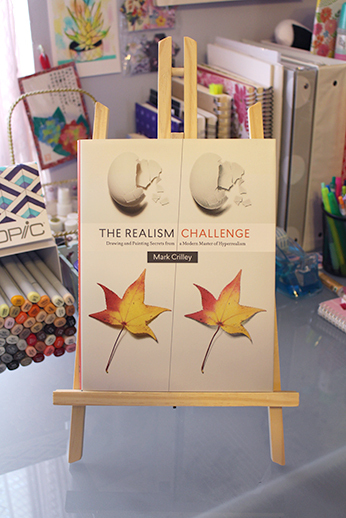 On video, it’s a fascinating process to watch, and in The Realism Challenge, Crilley takes you step-by-step through each stage with tips and things to watch out for. If you’re looking to try out different paths as an artist, this is a great book to help you get ideas as well as think out the whole process before you take the leap. Peot interviews many artists from various backgrounds and shares her own experiences, and offers advice for all aspects of the artist’s business, including resumes, sample contracts and legal definitions, and more. 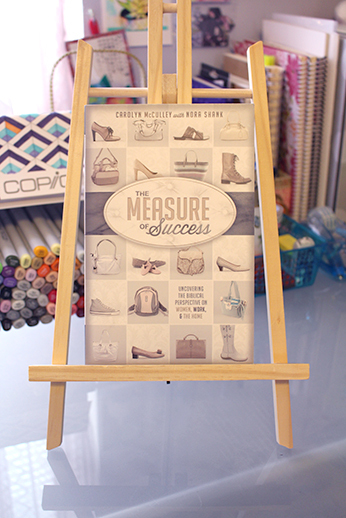 She also includes brainstorming exercises and a list of resources to help you take the next step. While this book may be more helpful, ultimately, for fine artists and textile artists, I found it helpful for broadening my scope in terms of potential avenues. 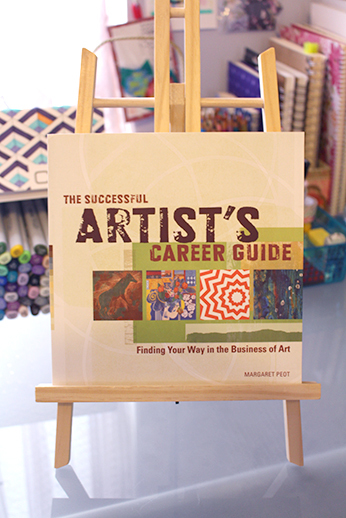 Peot’s effort to provide examples from the lives of artists using a variety of mediums (such as metal etchings, mural paintings, and comic books) and business models in a colorful, easy-to-read format makes her book stand out to me. 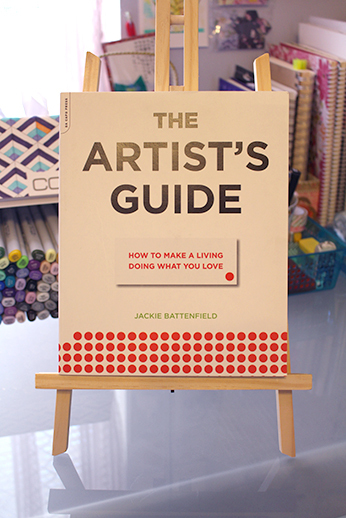 The information in The Artist’s Guide expands on Peot’s book mentioned above, as Battenfield goes into detail on even more avenues of business planning, securing grants and artist residencies, appearing in galleries, and more. 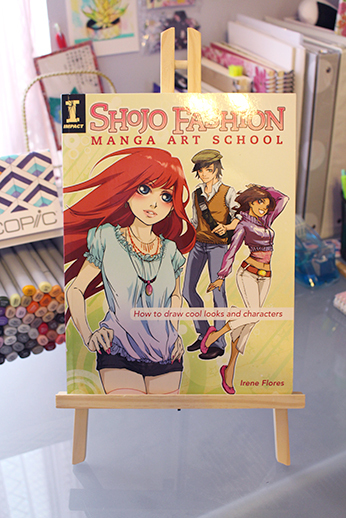 What I appreciate about Flores’s book is that it focuses less on the basics (which pretty much every “how to draw manga” book teaches you) and more on design. From hair to coloring to clothing of all kinds, she presents tons of examples, how-tos, and inspiration for getting your character’s personality to show on the outside. I refer to this book specifically for these kinds of things! Flores doesn’t stop with fashion; she continues by giving character design examples and tips on creating scenes and backgrounds in multiple perspectives. Her subsequent books expand on these topics even more. 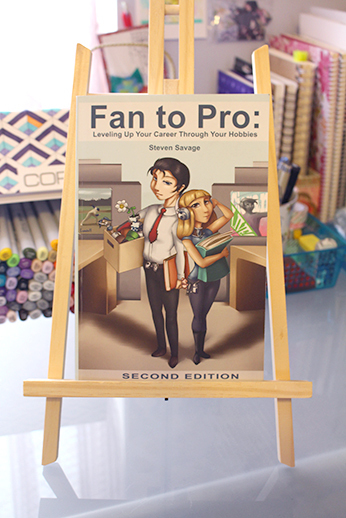 Fan to Pro does a phenomenal job of widening your vision and sparking ideas for how you, as a fan, can get a job in the industry producing the very things you love. Savage is serious about getting you from being just a fan to being someone who makes a living thanks to their fandom roots or connections. What’s more, it’s applicable to all kinds of fandom: manga/anime, sports, games, music, movies, books, cars, etc. The exercises are many, but essential to digging into what truly interests you within your fandom and revealing the skills you have that could–even unexpectedly–pair with it. You get numerous brainstorming opportunities and emerge with tons of ideas! I highly recommend this book if you have any interest in using fandom to get the job you want. We humans like to divide things, organize hierarchy, complicate the simple, and fight each other, even when we’re on the same team. 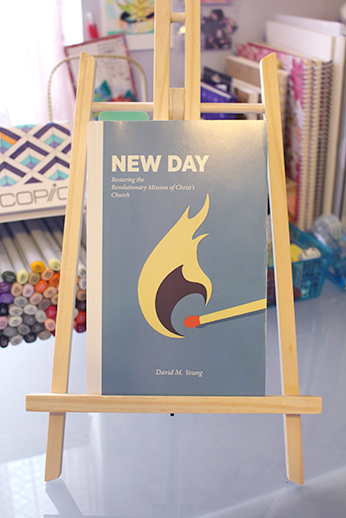 Young’s book talks about how we as Christians can get back to focusing on the point – church is not about making “me” happy–it’s about saving lost people; about shining light and hope into a world that is tired of being let down by false rescuers. 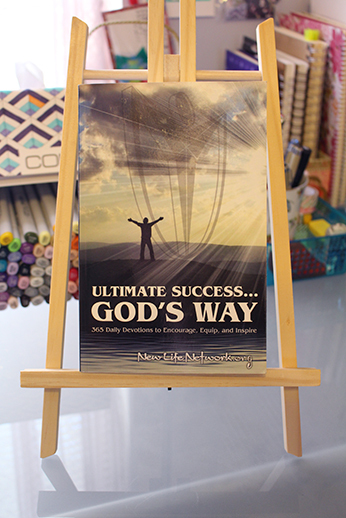 Ultimate Success God’s Way (365 Daily Devotions) – You can also get it here. This was the book that got me started on the path to actually reading my Bible every day. It began with a selfish reason (of course I want ultimate success!) and helped me start learning what success means to God. If you struggle to read your Bible, start with a book like this. Sometimes, baby steps really are the way to go. I really wanted to work on my mindset in 2018 and focus on God more, so I tried this daily devotional book by Meyer. She shares different verses and encouragement each day, combined with either affirmations or prayers to help redirect your thoughts and help you cultivate your own time with God. I really enjoyed it, and I’m going through it again this year. While we are told in scripture to be in the world but not of the world, it’s sometimes hard for us to manage. Secluding ourselves is not wise; neither is blending in. Dreher advocates creating missional communities within our existing communities, and be active with God in the world rather than pull away from it in a monastery. It’s a refreshing point of view, and I appreciate how he includes real-life examples of people actually doing this, so it isn’t just theory. 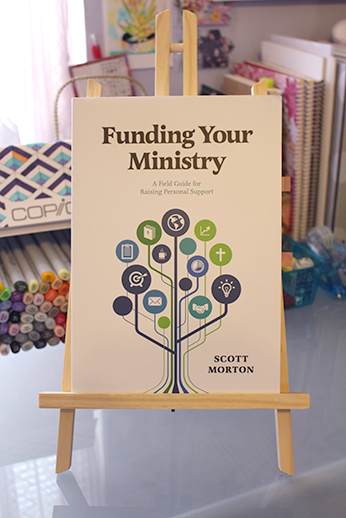 There is a proper way to ethically raise support for ministry, whether for missions or for non-profits. 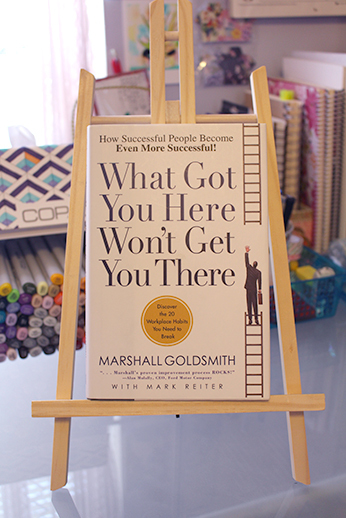 Morton shares so much amazing advice in this book, specifically for how to raise personal support. He helps you put “fundraising” into context and encourages you to minister to those who are supporting you as opposed to just asking for money. Your supporters are standing side-by-side with you, and they have their own lives, families, dreams, and troubles. I appreciate Morton teaching that, because its absence leaves you thinking selfishly, and that’s not what ministry is about. So while it’s great to live overseas (or land) in another country and carry out The Great Commission, the transition to living back at home is often overlooked. I can testify that I wasn’t all that concerned about how I would handle coming back when I left for Japan in 2018. 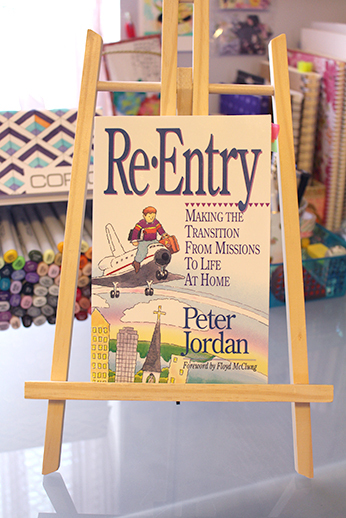 When I returned, however, it was painfully obvious–and I’m so glad I had this book to help educate me. 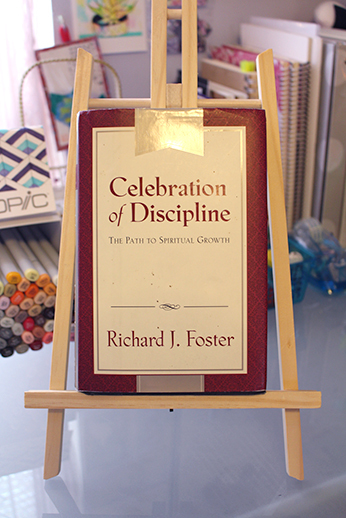 Foster’s explanation of how to start (or continue) the journey to spiritual growth is phenomenal, and something I find needs to be continually read in order for it to permeate my heart and mind. If you follow Jesus, and you are ready to grow, get this book. There seems to be this theme in my life where I want to be successful, but I’m not even sure why, or for whom I’m trying to achieve success. I keep going back to this book to help remind me of what’s more important, and where my identity truly lies. McCulley and Shank walk you through a history of women’s roles in the workplace and the home, and how it has changed over time. Speaking from personal experience (one a married mother; the other single), and accompanied by experience from women they’ve interviewed, they share secrets of contentment in one’s identity outside of societal pressures and vocational titles. They also talk about how living out the biblical perspective could look like for women at every stage of life. I picked up this book on clearance, and I’m surprised no one else had grabbed this gem! In it, you learn the mistakes that keep you from getting to the next level, or even just having healthy relationships with those around you. If you are a leader, or want to be, this will be highly beneficial to you. See the review for this in the above section. 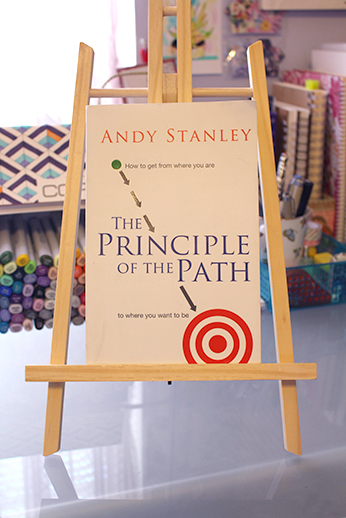 In this eye-opening book, Stanley reveals the reason we end up where we don’t plan to go, and how we can course-correct to get where we do want to go. The answer is simple, yet profound. 10 stars. A must-read! If you’re as indecisive as me, this book is another must-read. 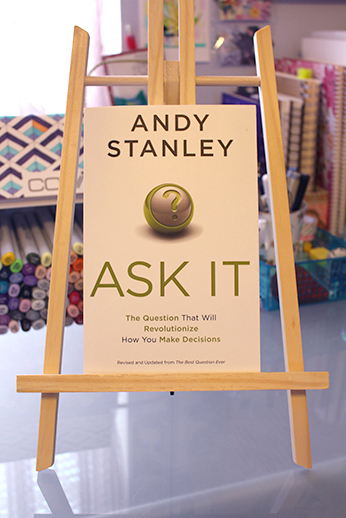 When we find ourselves in need of making a decision, Stanley suggests we ask ourselves one question. He bases this question not on our happiness or state of contentment, which is perhaps the single biggest difference in “standard” decision-making versus Stanley’s. Instead, he bases it on wisdom, and has us look at our potential decision in light of past, present, and future. Asking myself this question has saved me countless hours already, and money too. Bubz became a Youtube star through sharing her love of makeup, beauty products, and fashion, coupled with her endearing personality. In her book, she shares the struggles that weren’t captured on video that taught her countless lessons and shaped her into the person she is today. From those experiences, she offers encouragement and an alternative perspective to whatever situation you’re facing. You can be beautiful on the outside, and ugly on the inside. 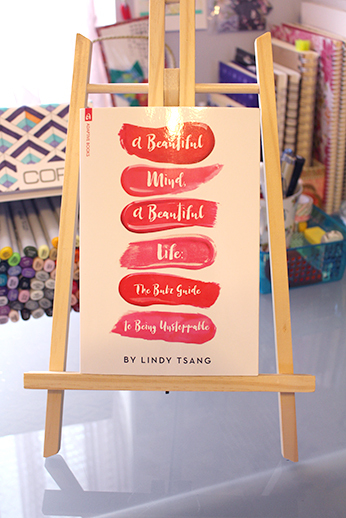 Bubz’s advice helps equip you to make better choices, think better thoughts about yourself (and others), and have a more beautiful mind. This is an incredible concept. Miller suggests that in a given situation, rather than asking ourselves what I would call “finger-pointing questions”, we should limit them to personal ones. This allows us to take responsibility as well as action in situations, rather than just asking “why? ?” and blaming people. See my Japanese Resources page. I met Stevenson at Kentokyocon in 2017, when his booth was right across the aisle from mine. He’s pleasant, has a great sense of humor, and one of my favorite table neighbors I’ve ever had at a convention! My mom and I got Victor Boone Will Save Us because Stevenson’s spiel left us so curious we had to know what happened next!! Oh, so you want to know my favorite manga, do you? The trouble is, I actually watch more anime than I read manga nowadays – and I truly am selective – so this list is probably shorter than you’d think! Instead, I’ll share what I’ve read (I haven’t completed most of these, believe it or not). Yu-gi-oh! Duel Monsters – the original series!